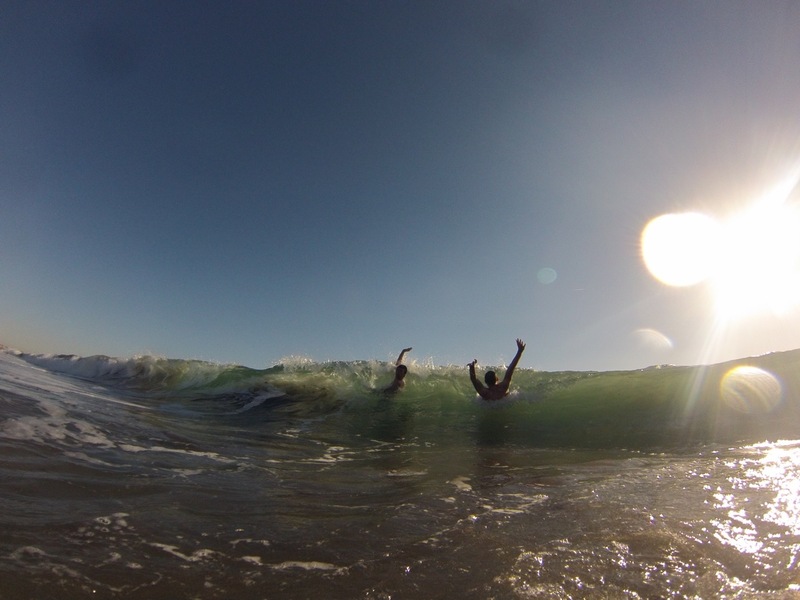 “On 5 October, I lost in the waves of Venice Beach my GoPro camera. Previously, I was on a 22 days road trip across the U.S. with two friends. More than 200 videos and over 1000 photos were now lost. Back in Germany, I found in the Facebook group „The Lost GoPro”. I tried my luck and wrote a little description. 2 weeks after losing my camera, someone wrote that he had found a camera on Venice Beach and wait for a photo for identification. Full of anticipation, I sent him a photo of the first days of our road trip. A day later, the confirmation came. Tom from Venice Beach had actually found my camera on the wet sand near the breakwater rocks, on the south side. 8 November was my lucky day. After a short visit at the customs authorities in my hometown I got my GoPro camera, including all photos and videos. Many, many thanks to the owner of the Facebook group and website TheLostGoPro.com Guillaume (aka Mr. G.) and of course to Chris and Tom W. for the recovery and return of my camera. Wishing you all a great Sunday! Crossing fingers for all the lost GoPro Cameras lost around the world to be reunited with their rightful owners! Feel free to contact us on thelostgopro.com ! Author mypatheticusernamePosted on November 10, 2013 Categories General, GoPro FOUND!, GoPro LOST :..-\, Success StoriesTags beach, Breakwater rocks, California, Camera, facebook, found, Germany, GoPro, group, happy, help, Hero3, LA, Los Angeles, Lost, Photo, Photography, return, reunited, Road trip, rocks, Sports, story, Success, Success story, Surf, thelostgopro, tlg, United States, USA, Venice, Venice Beach, Venice Los Angeles, video, Video camera, water, wave, Yeah!